Description: The culture of human-animal bond in Kaffa nation will be briefed to the participants on how households/family live together with other domestic animals and its health effect. Observation in the community at household level will be done to promote the effect of living with animals. Description: Zoonotic disease is a disease that can be spread between animals and human in different ways of transmission. in most of developing countries human can live with animals by sharing the same shelter together with them typically domestic animals ,this is true in our setup(local area ). so the awareness creation program have higher role so as to prevent and control of zoonotic disease . in our local area most of students are affected by zoonotic disease because they help their family after school by looking after animals,milking,caring and they have a prolonged contact with other domestic animals like dog and cat , the dissemination of knowledge about background,severity,transmission ways,prevention and control mechanisms of zoonosis and zoonotic disease for students is must due to students are the back bone of community even they are the back bone of the country. Description: Rapid population growth and expanding urbanization have caused a drastic increase of the municipal solid waste generation and the variety of the waste composition (Nguyen et al. 2011). Municipal solid waste (MSW) consists of all types of solid waste generated by households and commercial establishments, and collected usually by local government bodies (BhadaTata and Hoornweg 2011). The majority of substances composing MSW in developing countries include paper, kitchen waste, plastics, metals, textiles, rubber, and glass. Many cities in developing countries face serious environmental degradation and health risks due to the weakly developed MSW management system (Nguyen et al. 2011). Especially accumulation of plastic bag wastes it is very high and causes environmental pollution that can be manifested in number of ways. One of the problems is deterioration of natural beauty of an environment (Anthony, 2003). Another common problem associated with these wastes is death of domestic and wild animals. This necessitates for proactive measures in order to safeguard animal species against extinction (EPHC, 2002; Brown, 2003; Flores, 2008; UNEP, 2006; Verghese et al., 2009a; Macur and Pudlowski, 2009; Narayan, 2001). Blockage of sewerage systems is becoming a common problem in cities and instruments such as levies and taxes to restrict the use and production of plastic bags. As one of the fast-growing cities in this part of the world, Jimma city, Ethiopia is also facing the same problem. Consequently, a considerable amount of waste ends up in open dumps without any sorting or treatment and is exposed to human and animal scavengers. Some of the basic reasons could be poor waste management and perhaps lack of awareness about the negative impacts of waste (Tiruneh and Yesuwork, 2010; Ramaswamy and Sharma, 2011).A holistic, interdisciplinary approach is required to investigate the epidemiology and the effect of poor waste handling and to protect both humans and wildlife, through the medical, veterinary, biological, social and ecological sciences. The One Health approach is based on the concept that these three spheres of Human, Animal & the environment are intimately interconnected and interdependent, and as such, are best addressed through collaboration and exchange of information between medical, veterinary and environmental health professionals. Therefore this community outreach which conducted in Jimma town is intended to make a community awareness creation on the importance of the waste management including collection, on site handling, treatment(transfer, transport, processing and recycling) and disposal of different wastes and also on how we carried out to recover resources from the waste which is important area of sustainable development. Title: Awareness Creation Program on Vector Control and Prevention of Vector-borne Disease. Description: A vector is any agent (animal, or microorganism) that carries and transmits an infectious pathogen into another living organism.Arthropods form a major group of pathogen vectors with mosquitoes, flies, sand flies, lice, fleas, ticks and mites transmitting a huge number of pathogens. Many such vectors are haematophagous, which feed on blood at some or all stages of their lives. When the insects blood feed, the pathogen enters the blood stream of the host. This can happen in different ways.The World Health Organization (WHO) states that control and prevention of vector-borne diseases are emphasizing "Integrated Vector Management (IVM) which is an approach that looks at the links between health and environment, optimizing benefits to both. In April 2014, WHO launched a campaign called “Small bite, big threat” to educate people about vector-borne illnesses. WHO issued reports indicating that vector-borne illnesses affect poor people, especially people living in areas that do not have adequate levels of sanitation, drinking water and housing. 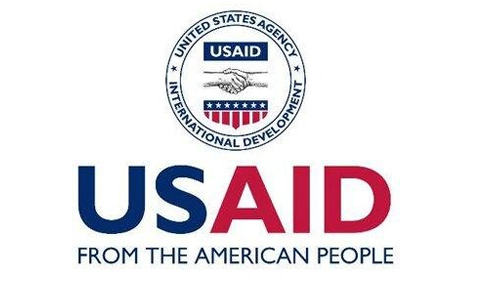 Therefore ethiopia is one of poor country and there is high prevalency of vector born disease,Vector control focuses on utilizing preventative methods to control or eliminate vector populations. Limiting exposure to insects or animals that are known disease vectors can reduce infection risks significantly. For example, bed nets, window screens on homes, or protective clothing can help reduce the likelihood contact with vectors. To be effective this requires education and promotion of methods among the population to raise the awareness of vector threats. this program focus on increase the awareness of the community in which the prevalece of vector born diseases are high. Description: In our rural area of our county most of people live or share the same shelter with domestic animal.They care them whether they are health or not.They didn't use any preventive material like glove or other material to make them better safe.When we come to community living in urban area special teenagers have high link with domestic animal like cat, dog and other animal and they didn't worry to touch them and care them. Sometimes they see these animals like their friend and enjoy long time with them.These domestic animals sometimes bitten by some toxin carrier and harm these teenagers even if they didn't bitten by any animal,they carry some parasite that harm teenagers. Teenagers should be aware about how to handle domestic animals . Description: In Ethiopia human health and animal health work separately.where also other disciplines are not working on health related issue.so giving awareness on one health approach for all disciplines are very important.especially focus on prevention ,detection and response of communicable disease.additional discuss on sign and symptoms of zoonotic disease. Description: The event will take place at Moi University College of Health Sciences. Students from other Universities and colleges will be invited to attend the event. Exhibition of club activities will be done, followed by invited speakers presentation on one health concept and its role in disease management. Participants will form groups, choose a one health problem and carry out simulation on how they can work together to come up with interventions to the problem. At the end, participants will have a tour at one of the nearby health facilities and a tree planting session at Moi University, College of Health Sciences. Description: From baseline studies, knowledge of zoonotic diseases among the people at high risk is low resulting in high risk behaviour and practices, this in turn results to loss of productive time and even loss of life. One health resource centre in partnership with a national TV station and other partners will be hosting experts from human, animal and environmental health to educate and create awareness on matters one health, the show will air weekly for one year. Description: 1) Starting 17th October, we intend to have student competitions on One Health. Students will present poetry, songs, spoken word, and skits. They should be in line with this year’s theme; “Students for One Health.” The best three students will be awarded cash prizes. 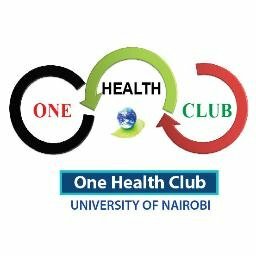 2) We intend to have a One Health awareness week starting Monday, October 31st at The University of Nairobi College of Agriculture and Veterinary Sciences (CAVS) and at the College of Health Sciences (CHS) which will culminate with celebration of the One Health day on Thursday, November 3rd. Within this week, we intend to create awareness on the One Health concept among the students and staff of the university, primary schools pupils and secondary school students. We will pitch tents in CAVS and CHS and also make school visits within the same week. We will have our student members interacting with the other students informing them and issuing them with One Health literature. Starting 31st October we will have guest lectures on trends on One Health and what the future holds for One Health and the opportunities that exists for students. The guest lectures will run on Monday and Tuesday. On Wednesday, we will have the finalist of the competitions do their presentations. On Thursday, November 3rd i.e. The One Health Day, students from Faculty of Veterinary Medicine and School of Public Health will identify a One Health problem in one of the communities around and provide a solution to it. The site for the activity will be the Nairobi National Park.The park is facing challenges like human-wildlife conflict and pollution which we intend to provide solutions to. We will have a short session at the College of Agriculture and Veterinary Science for a keynote talk on One Health after which we will award the best three students. On the same day, intend to launch our One Health Club Website. Description: Rwandan government encourages environmental protection and tree planting for better ecosystem health. As one health is new concept that is not widely known in elementary and high schools. The tree planting event will target elementary, high school students, their teachers and headmasters by planting trees around their schools. The activity will involve the awareness of one health concept (protecting human, animal health and environment) and how it contributes to better health. The mayor and local leaders of Kigali city will be informed about the event. The high institutions of learning in Kigali and media will be invited to participate in the event. Description: This event will bring together a multidisciplinary team of students from the University of Rwanda, members of the One Health Students Club. It will focus on community education about importance of protecting the nature as a source of health to the People, Animal and their ecosystem through planting trees along roads in rural areas and homes of communities. Moreover, as young academicians have been seen to induce long term change, the event will involve students from Primary and secondary schools in support of their teachers to plant trees. At the each day's session, participants will be introduced to the One Health Concept incorporating the role of Trees in promoting Human, Animal and Environmental Health through presentations, Drama and take home Brochures. The event will end by a friendly soccer between visited participated schools. The Theme will be " Trees, Our life". This will involve Police, schools' administration and Local Government. Description: This is a collaborative One Health day which includes academics and students from various Universities in South Africa, the Department of Health, the National One Health Forum and the Gauteng Department of Agriculture and Rural Development. The day will focus on training, research and one health initiatives in academics, research institutes and government. Description: Our aim for the day is to inform farmers, Animal Health Technicians (Veterinary Services) and Environmental Health Practitioners (Public Health) on 8 selected zoonotic diseases that they might encounter on farms. These diseases are: Rabies, Brucellosis, Tuberculosis, Rift Valley Fever, Anthrax, West Nile Virus, Cysticercosis & Leptospirosis. The information will be presented in the form of a drama that focuses on a visit to a farm by a 'One Health Team' to address a situation of people on the farm testing positive for a zoonotic disease. Every person from the audience will be presented with an information pack consisting of pamphlets and posters of each zoonotic disease. Mugs with different designs for the selected zoonotic diseases will also be given away as prizes and will be available for purchase. Snacks and beverages will be provided. Transport will be provided for selected rural farmers. Title: Psittacosis Information Evening - Protect yourself. Protect your bird. Description: Various aspects of Psittacosis will be covered, including: Clinical aspects of Psittacosis, Psittacosis as a controlled disease, Aspects of biosecurity for bird owners, The value of the post mortem examination, Psittacosis as a zoonosis. Description: The Uganda Ministry of Health, Ministry of Agriculture, Ministry of Animal Industry and Fisheries, the Ministry of Water and Environment, and the Uganda Wildlife Authority plan to formally launch the Uganda National One Health platform with an event on One Health Day 2016. During the launch event, P&R will work with the government to share the One Health framework document, formally unveil the One Health Technical Working Group and the Zoonotic Disease Coordination Office, and publicly outline the next steps and measures the government and partners will take to move One Health forward in Uganda. Description: In Uganda, most house holds own pets especially dogs and cats which are used for security and vermin control respectively. However, they are not aware of Rabies, its transmission and first Aid in case bitten by dogs or cats. This awareness workshop will take place at St. Noah Girls Secondary School, Zana and students from other secondary schools will be invited. The workshop will involve a pretest on Rabies where levels of knowledge will be assessed and later hold discussions with the students about Rabies. At the end of the session, a post test will be given to the students assess levels of knowledge acquired on Rabies. This event therefore aims at creating awareness on Rabies transmission, First Aid and Treatment.